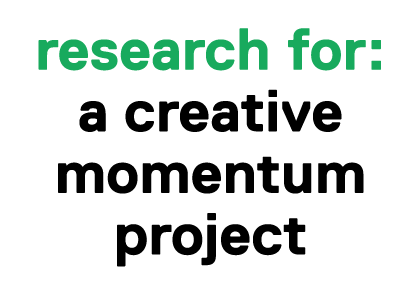 A creative momentum project supports the cultural and creative industries in the west of Ireland by providing opportunities and supports to the sector. But this project is just funded for three years. However, we are also concerned with shaping future policy and funding available to the cultural and creative industries. What will help us do this is understanding the sector better so we can show its value, such as the revenue it generates, the employment it creates but also its wider value such as involvement in social, community or education projects. With the announcement of Creative Ireland and the launch of a National Design Forum we’ve seen national policy progress. Fostering culture and creativity is an objective with the Action Plan for Rural Development. But we still have some way to go, particularly in relation to regional and rural actions. The more creatives we reach, the more robust our evidence will be. If you can, do also share this information with your local creative community in the west of Ireland. We’re also surveying creatives in the four other project regions and will launch these surveys very shortly.